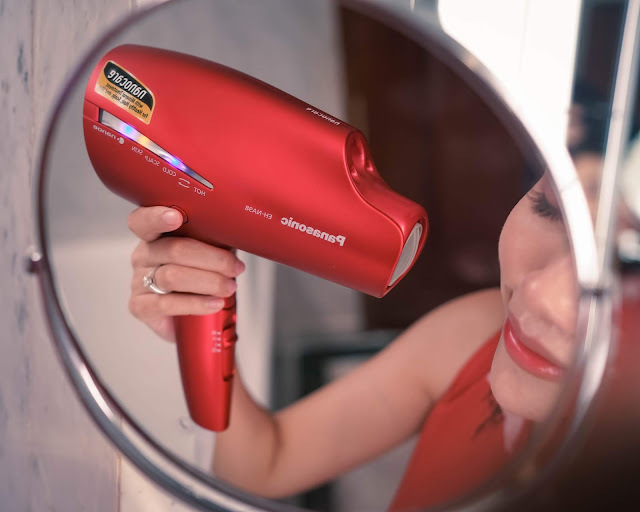 A total care hair dryer that can also be used on the scalp and skin?! Of course it gets a YES from me! 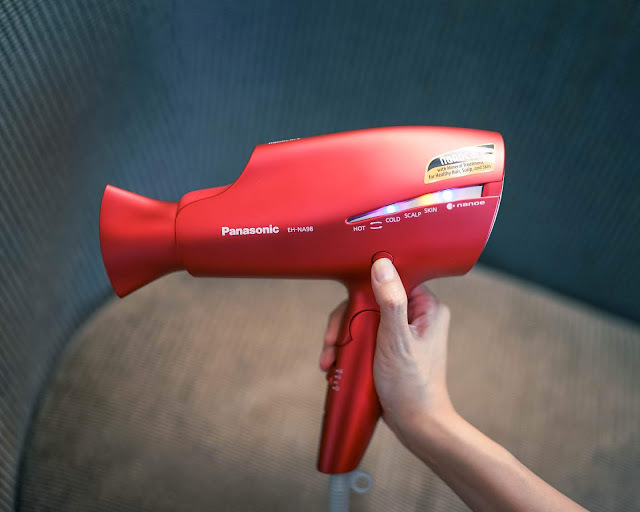 this hair dryer I'm going to be sharing today EH - NA98. 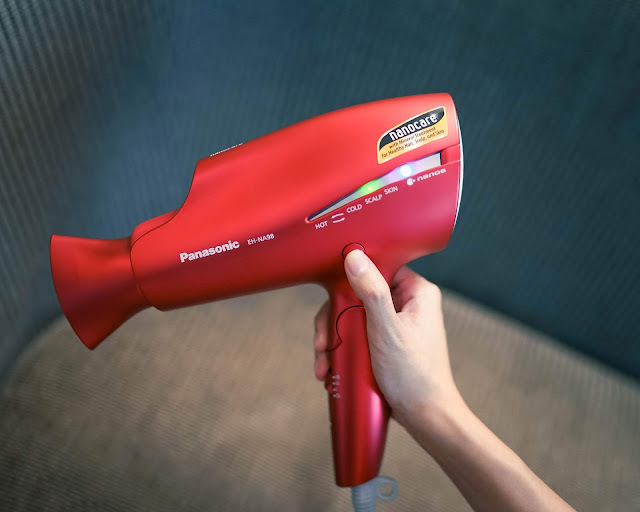 Regular hair dryers typically cause dryness in hair because it evaporates the moisture in our hair. 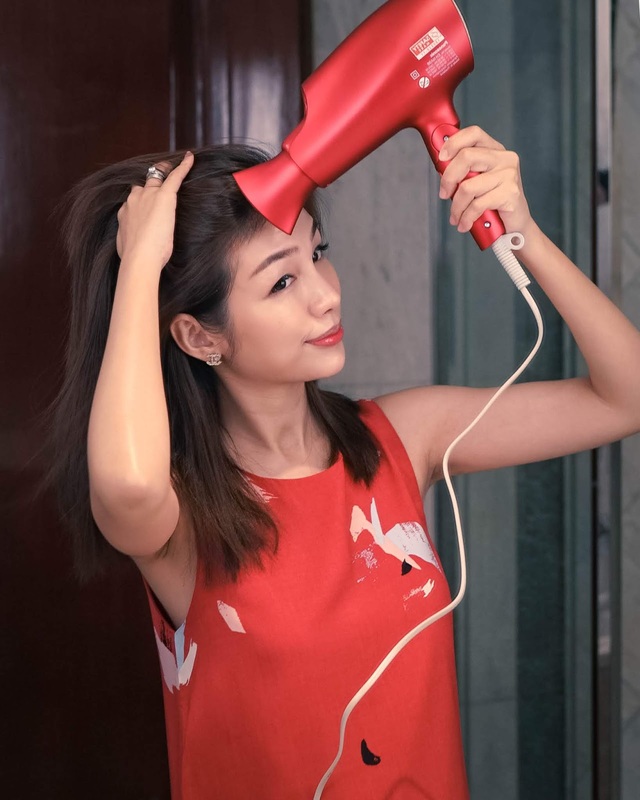 To counter this, some modern hair dryers uses negative ions to adhere to the hair surface, keeping hair smooth. penetrate into the hair making it even smoother and shinier. 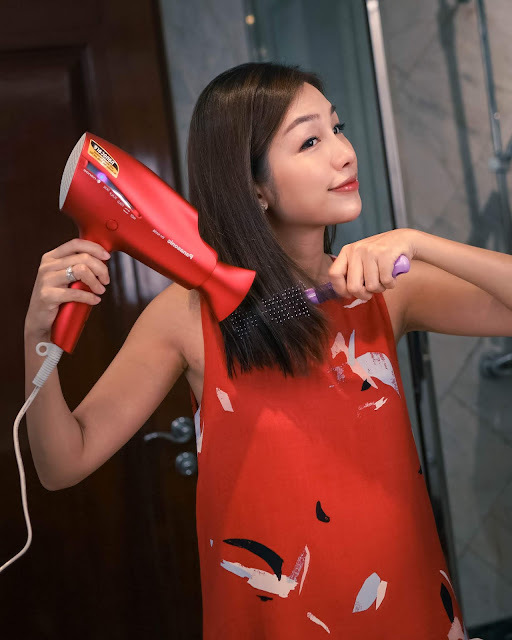 making the whole hair drying process a lot more relaxing. 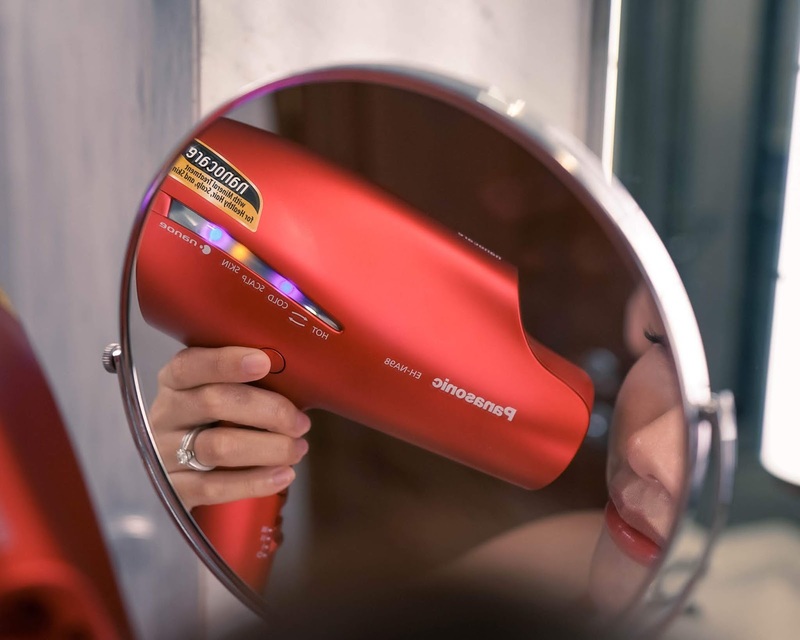 the nanoe™ technology also helps to moisturise the scalp! while drying my hair because I'm still not fully awake. 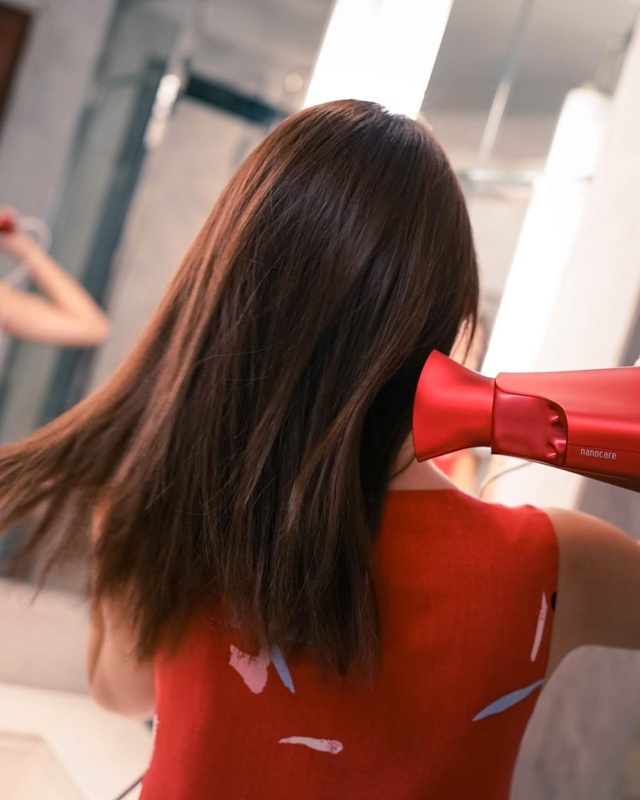 and I'll usually switch to that mode when I'm drying my hair closer to the scalp. neutralising the positive charge to prevent hair from sticking up or standing on end. 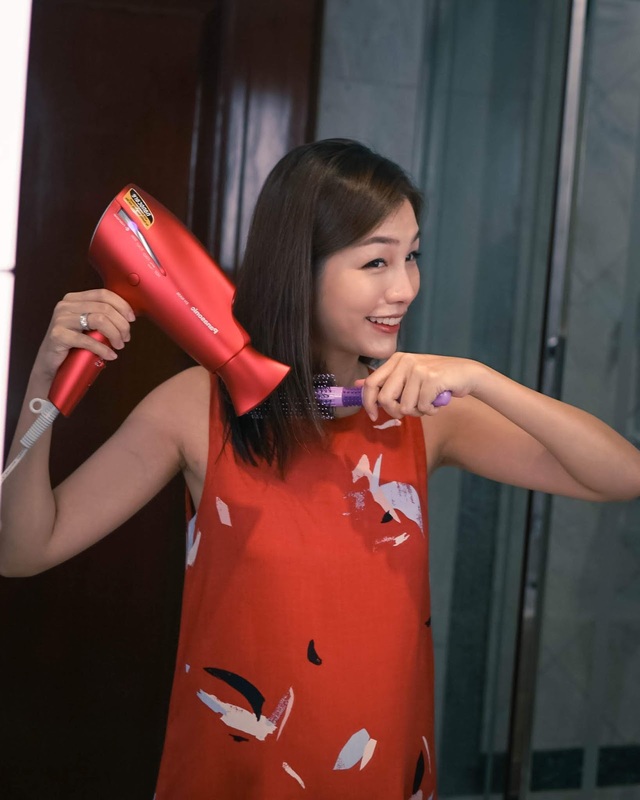 In addition to that, EH - NA98 also contains double mineral ions that help to tighten hair cuticles, making hair resistant to daily styling and harmful UV rays. 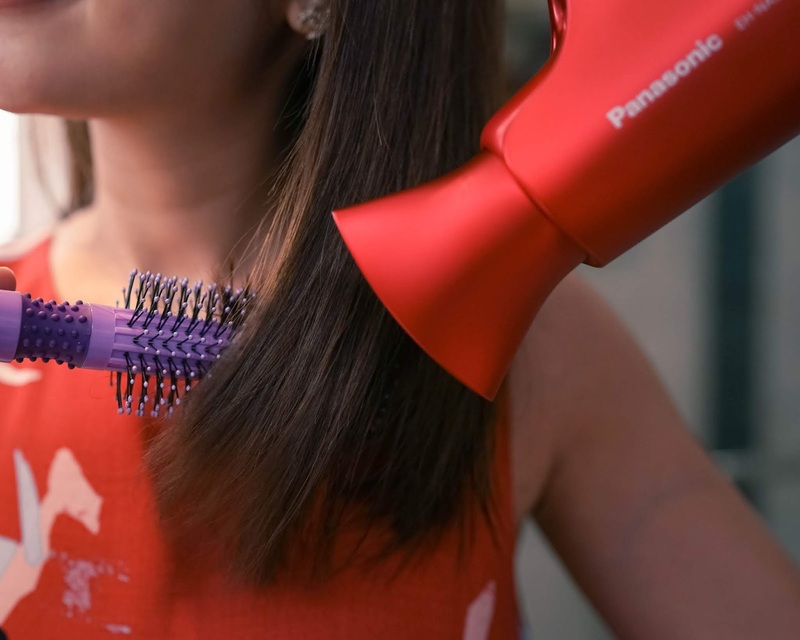 This is why I love using the EH - NA98 for straight blowouts! Now what impresses me the most is the Skin Care Mode. Yes, you heard me right! 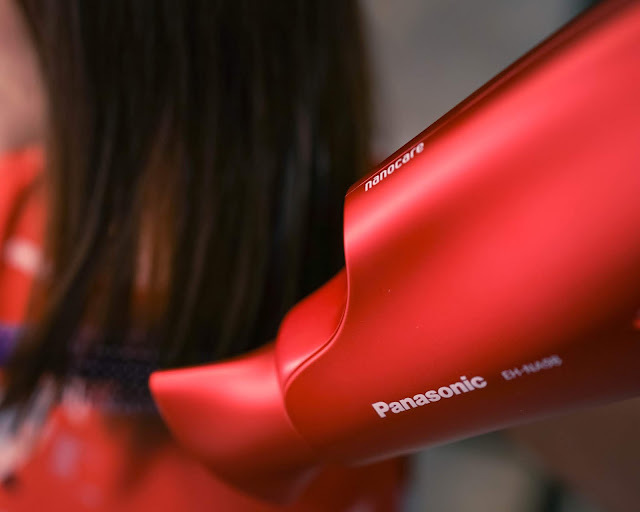 The Panasonic EH - NA98 also works for the face! 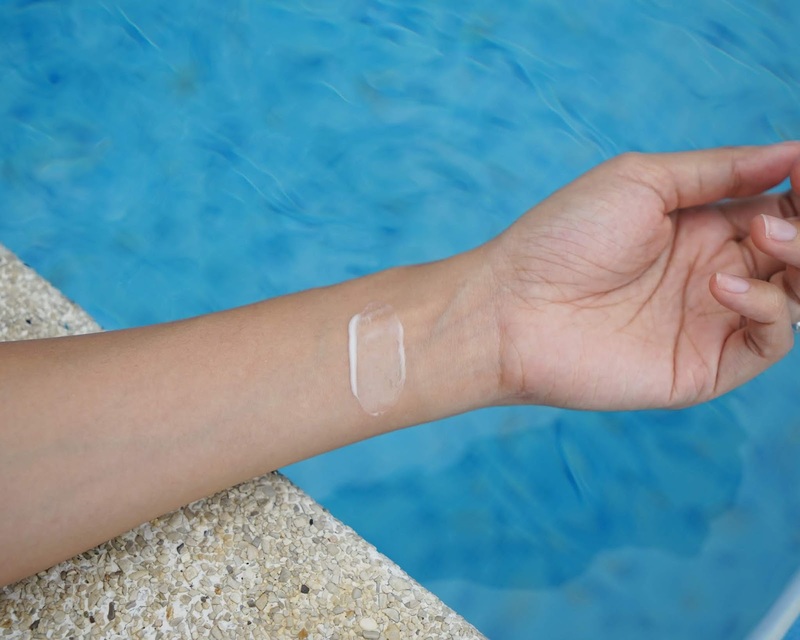 The nice warm wind helps to moisturise the skin with its nanoe™ Technology. It works as a great perk-me-up in the mornings! but also less straining on the arms while I dry my hair! 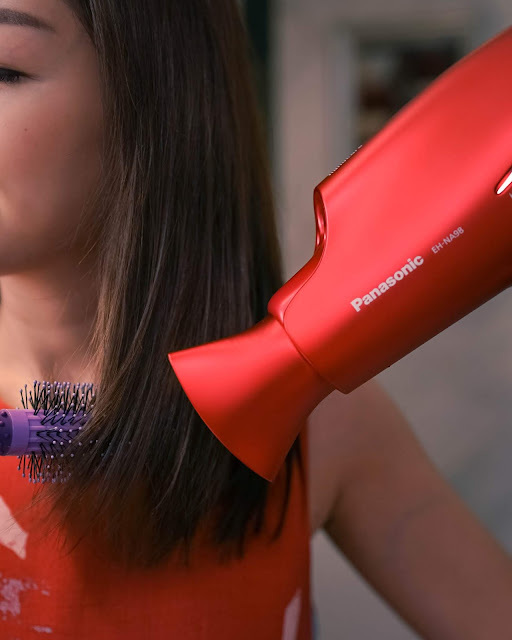 that’s fast and easy for my hair, skin, and scalp. 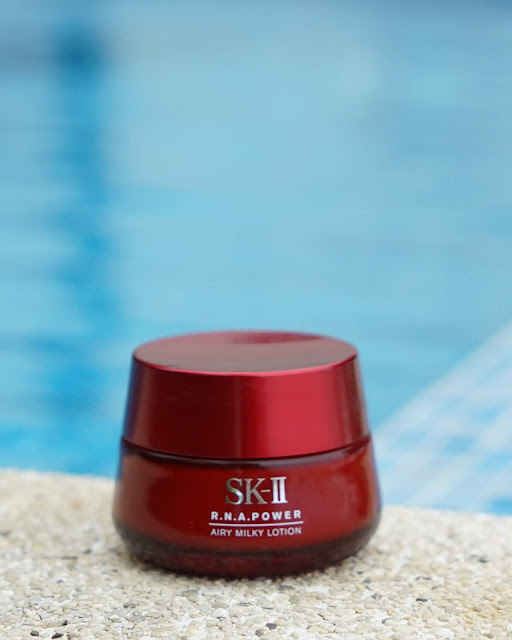 How I use SK-II R.N.A Power Radical New Age to restore my skin's youthfulness! it has to be through your skin! 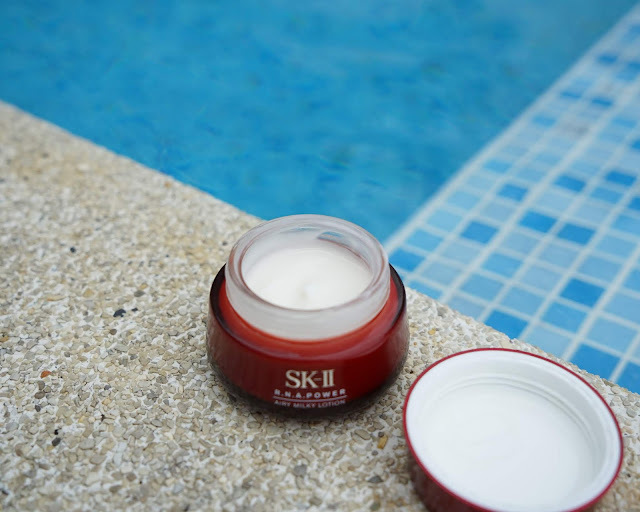 I've been a fan of SK-II since I was 20 so of course I said YES when their marketing team asked if I would be interested to try their SKII R.N.A Power Airy Milky Lotion and give a personal review about it. This product is part of the SK-II R.N.A. Powder Radical New Age range which features a suite of anti-aging products. I'm actually also eyeing the R.N.A Power Eye Cream that promises to reduce dark eye circles because I've seen so many positive reviews about it. The fight against age should start early for young lasting skin and besides finding the right products that suit your skin, your lifestyle is equally important. I always find that coupled with ample sleep, my skin always loaok brighter the next day. I also believe that hydration is key when it comes to anti-aging so besides making sure I'm drinking enough water daily, I'm obsessed with lotions/moisturizers. 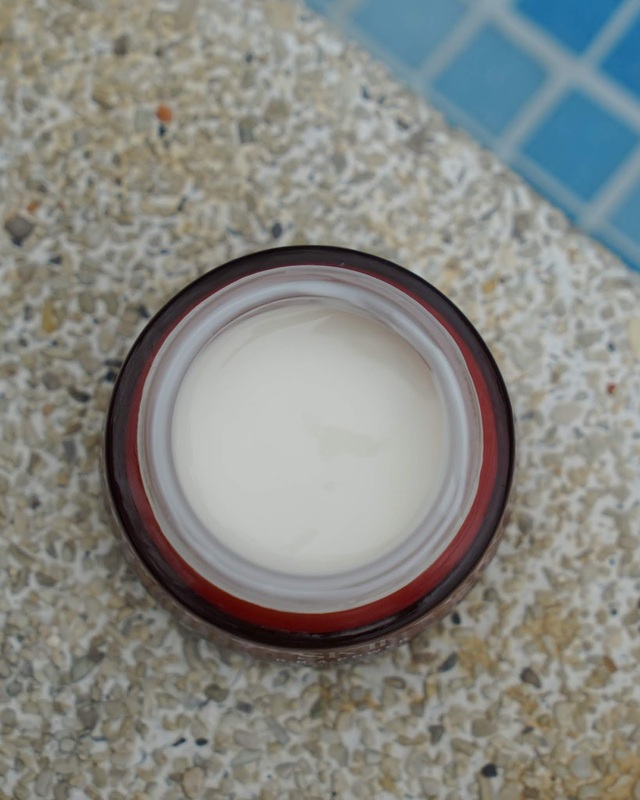 This one from SK-II has recently made its way to the top of my favourites! the same firming and hydrating benefits of the Power Cream. It also contains SK-II's trademark, PITERA that I'm pretty sure most of us are familiar with. I personally like gel creams better because they are less greasy so I found the Power Airy Milky Lotion perfect and makes a great base for my makeup. Trying to show you how milky and lightweight the product is! My skin feels tighter the moment I pat it on my face and it is extremely moisturizing, even until the next morning - This is really important because I sleep in an air conditioned room. Now, I won't go to bed until I slather some of that product on my face and neck! I have also noticed that after using the R.N.A Power Airy Milky Lotion for a week, the pores around my nose become smaller and my skin clearly feels brighter and plumper. This miracle in a jar from SK-II is definitely worth the money and is going to be a permanent part of my skincare regime. I love what its doing to my skin! SK-II counters island wide (SGD 149 for 50g)! No need to wait for a trip to the Duty Free to start using this miracle in a jar! 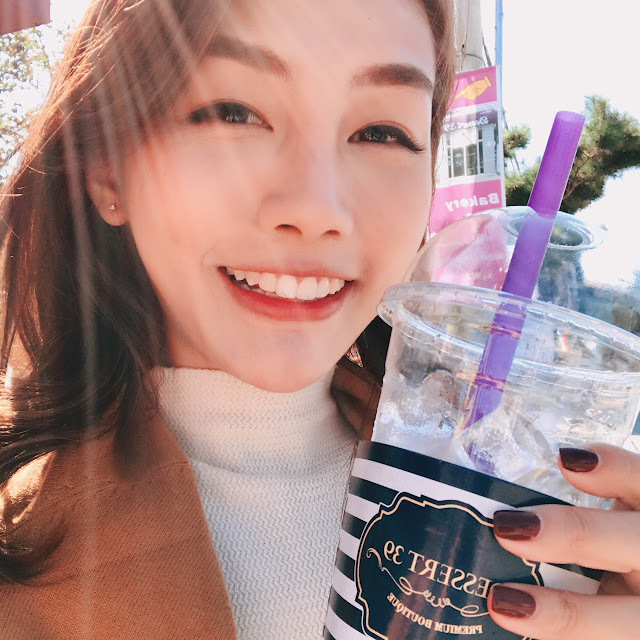 My Invisalign journey started about 1+ year ago in July 2016 with the main purpose of achieving the best smile on my big day and Dr.Cheng from iDental did just that for me. Dr.Cheng (Also the founder of iDental) is extremely experienced in Invisalign and has personally treated more than 1000+ patients. I remember on my first consultation with Dr.Cheng, he listed out the areas where my teeth can be improved and I was so impressed because he spoke my mind! If you've seen my older posts, you'll probably know that I had braces on before and although it did straighten my teeth, I had an overbite problem and my teeth looked a little too big. Dr.Cheng suggested that I get my teeth shaved then get the gaps closed using the Invisalign aligners. You can't see the gaps at all with aligners on. Mighty pleased with my new set of teeth. Teeth now fits into my face shape better, overbite problem solved. 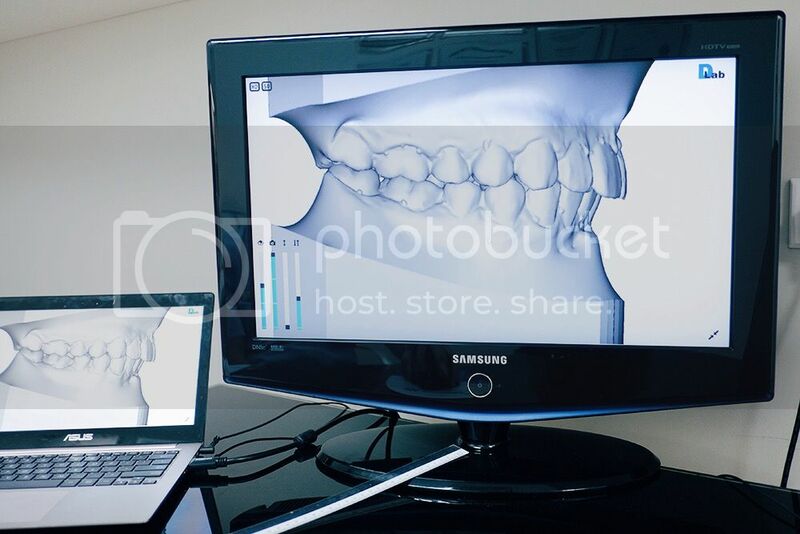 Overall, my experience with iDental was a smooth and fuss free one and I don't remember any discomfort at all during my treatment other than when we had to take moulds for the aligners/retainers. Invisalign at iDental starts at $4,500 and if this is something you wish to consider, you can call 63232813 for a consultation ($220) at iDental.